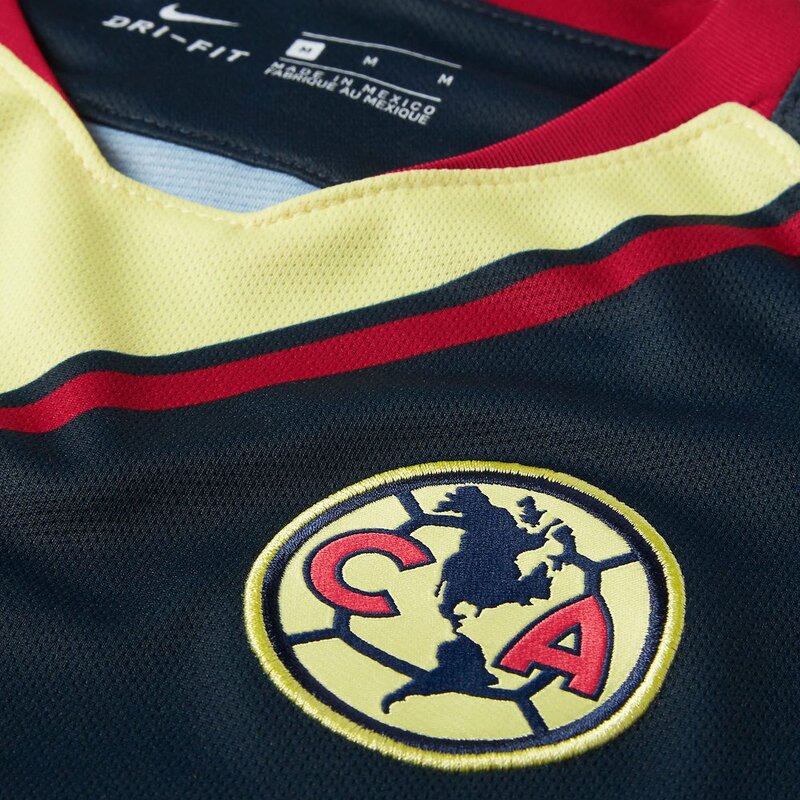 The Club America squad returns to Liga MX play for the 2018-2019 season with an updated lemon yellow away jersey and armory blue print on the left chest. 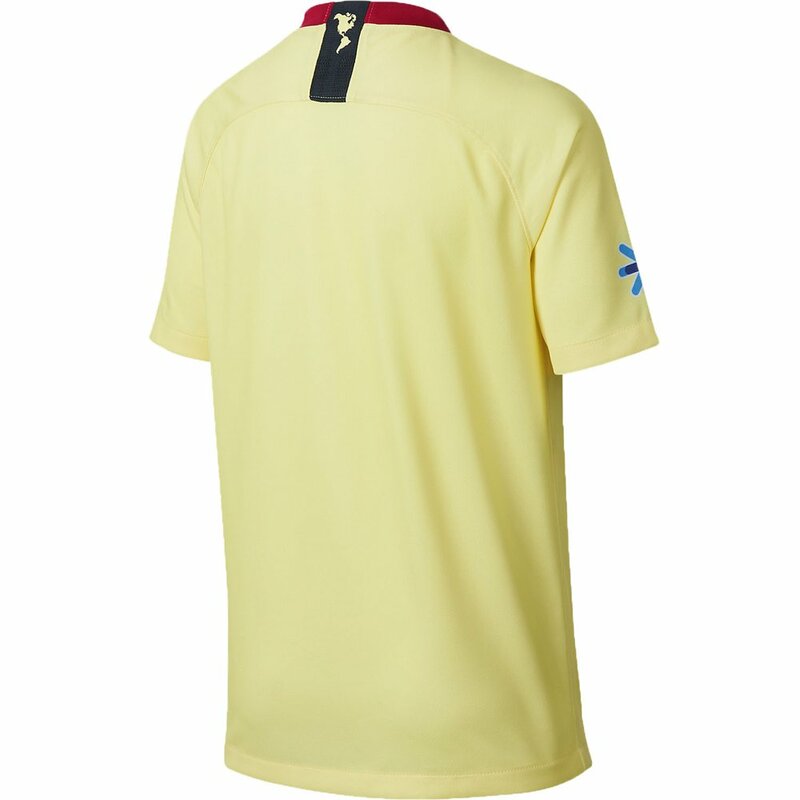 Support Las Águilas in the same jersey to be worn against rivals Guadalajara and Club Azul as they battle for the Liga MX Apertura and Clausura. Nike Club America Home 2018-19 Youth Stadium Jersey - Available at WeGotSoccer! 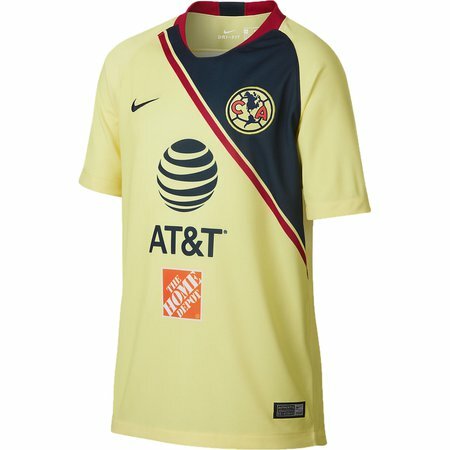 See Also: Full Soccer Jersey Selection!